In previous posts on the Intland blog, we have thoroughly discussed How the Internet of Things is Changing the Definition of Product. In a nutshell, IoT connectivity enables products to offer never before seen services, unlocking great opportunities for companies. As always, opportunity also means a challenge. Products are no longer just physical devices: increasingly, they are smart devices with microprocessors, sensors etc. and embedded software to control these, as well as connectivity components that let them communicate with a central computing infrastructure. Thus, the Internet of Things can expand the functionality even of previously simple products. To be able to take advantage of these new opportunities by adding new functionality to products, the integration of an innovation lifecycle is necessary. Not only do companies have to manage the innovation lifecycle (including demand management), they also need to integrate the development, QA and maintenance of these products and features. All the interconnected, overlapping and simultaneously running lifecycles of innovation, development (software, hardware, service), testing and release have to be brought together and managed in an integrated manner. 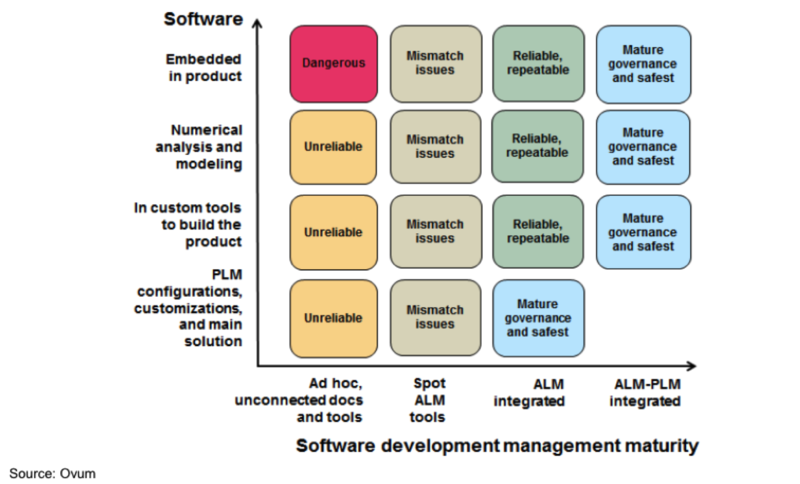 ALM (Application Lifecycle Management) and PLM (Product Lifecycle Management) are converging – and, as we'll see below, this is key to understanding the role of ALM maturity. 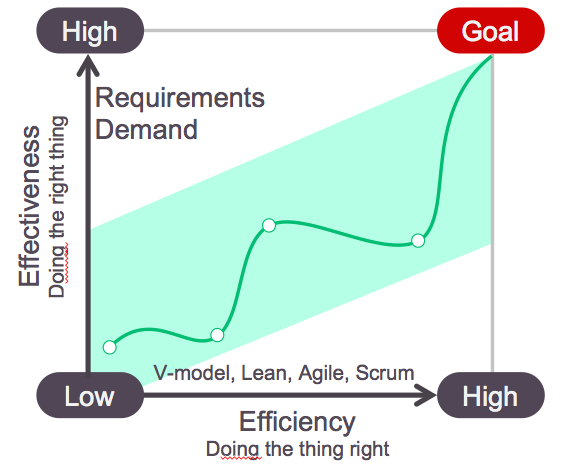 Effectiveness and Efficiency – "Doing the right thing" vs "doing the thing right"
As mentioned above, more and more companies are increasingly relying on demand management to help them identify and prioritize these opportunities, ensuring they don't go around wasting time and money on developing products or features that are just not going to be successful on the market. But effectiveness, "doing the right thing", is just one part of the process. If you're developing something great inefficiently for years on, spending major funds in the process with no return on your investment, you haven't really made much progress towards being successful. That's why effectiveness ("doing the right thing") has to couple with efficiency ("doing the thing right"): once you know what to do, you have to be able to efficiently do it. codeBeamer ALM helps you do just that: with its solid demand and requirements management functionality, it helps you identify valuable projects. Since the requirements and demands feature set is fully integrated in the ALM solution, you can then seamlessly move on to the development of the identified items. Whichever development methodology you choose to employ, codeBeamer supports efficient collaboration and helps streamline your processes. 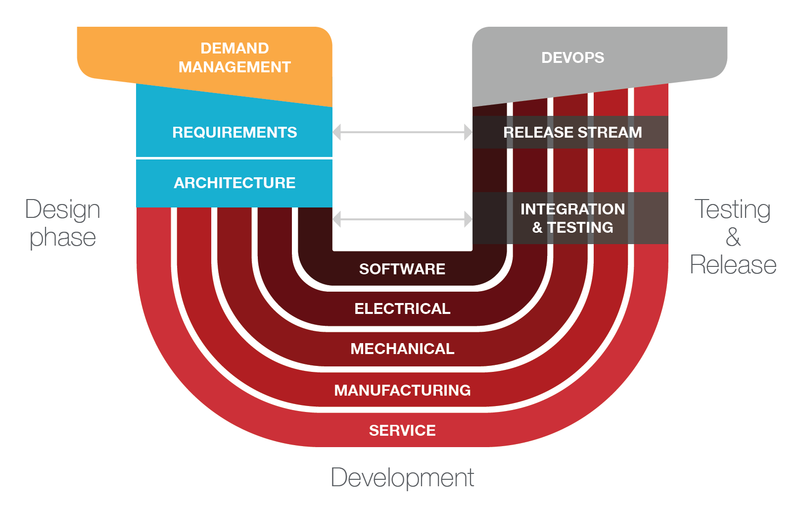 So how exactly does ALM maturity relate to all of this, you may ask? 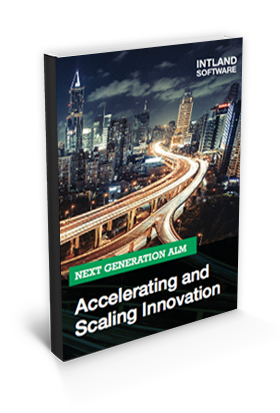 Well, to sum it up, a mature ALM platform lets you manage all the above in a single, fully integrated solution. Mature Application Lifecycle Management solutions let you have all the data stored and managed, as well as processes enforced through a single solution that encompasses several entire lifecycles – from demands all the way to the maintenance and/or IT operations of released products. The more your products rely on software, the more important it is to have an integrated ALM platform; preferably one that offers ALM-PLM integration, letting you centrally manage all the engineering, manufacturing and software development processes of a physical device with software components. Thus, using a mature ALM solution can help ensure complete integration, and can support you in delivering better products faster. As ALM and PLM show converging trends, we can expect management solutions (ALM and PLM) to also integrate better, providing companies with a convenient, efficient and complete platform to manage several lifecycles at the same time. Have any questions? Reach out to us to start a conversation.